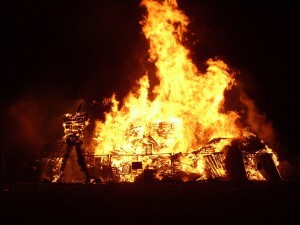 You are here: Home / Culture and Religion / Remember Remember the Fifth of November: Is Guy Fawkes still Relevant? Remember Remember the Fifth of November: Is Guy Fawkes still Relevant? Halloween has been and gone for another year, and as the march towards Christmas begins, the next event on our calendars will be November 5th. 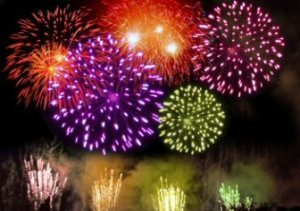 Referred to as Guy Fawkes Night, Bonfire Night and Firework Night, we celebrate the fifth of November by attending firework and bonfire displays or by setting off our own fireworks. So what are we actually celebrating when we ooh and ahh at the firework displays? The story behind our celebrations on November 5th takes place in 1605, when Guy Fawkes was found in the cellar of the Houses of Parliament with thirty six barrels of gunpowder. 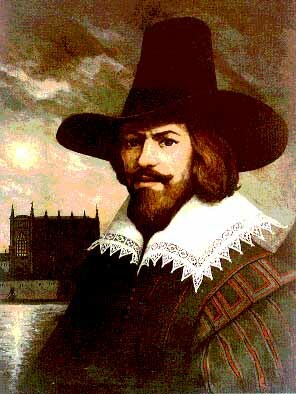 Guy Fawkes was a member of a group who were formed in protest at the persecution of Catholics which had taken place under the rule of Queen Elizabeth the First. When Queen Elizabeth died in 1603, it was hoped that her successor James the First would be more tolerant of Catholicism, as his mother was a Catholic. However, this was not the case, and Catholics continued to face persecution. A group of thirteen men, including Guy Fawkes, formed a protest group and believed that violent action was required in response to the treatment of Catholics. The group decided to blow up the Houses of Parliament, in an attempt to assassinate King James. The plot was discovered through an anonymous letter which was intended for a friend of one of the members of the group, who had been warned not to attend Parliament that day. This letter reached King James, and when the authorities stormed Parliament in the early hours of November 5th, they found Guy Fawkes in the cellar, surrounded by gun powder. Guy Fawkes was arrested, tortured and then executed. Why celebrate with fireworks and bonfires? So how did such a barbaric plot become a source of celebration? The tradition of lighting fires came about as a signal of celebration for the safety of the king, and centuries later we continue to light bonfires and set off fireworks on November 5th. How relevant is Guy Fawkes to modern 5th November Celebrations? For the many who will not be fully aware of the story of Guy Fawkes and the gunpowder plot, November 5th will likely just be a tradition which allows people to celebrate with friends and family. In this sense, November 5th becomes less synonymous with a potentially catastrophic act that would have caused devastation to Britain, but rather becomes a positive celebration in which we can be with our loved ones and enjoy the illuminated skies together. So is there no place for fifth of November celebrations in our society? Or do our fireworks and bonfires symbolise something more positive than the events which inspired them? We’d like to know what you think. Do you celebrate November 5th? Do you feel it is important to know the story behind the fireworks, or is it more important to use this day as an opportunity to connect with your loved ones?